Hi, humans. 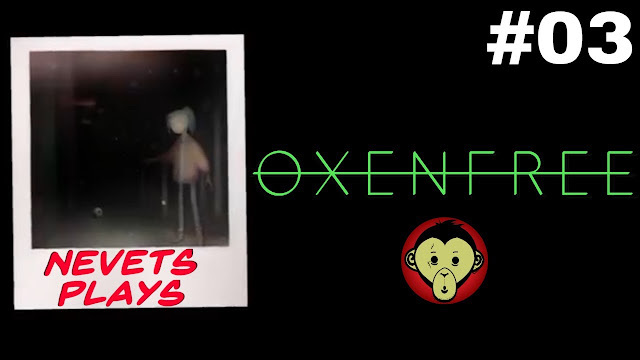 My name is Nevets and this is my first every playthrough of the 2016 video game, Oxenfree. It's a sci-fi, point-and-clicky sorta adventure game with a very fascinating and baffling plot. Suffice it to say, I loved it. The story centers on a group of teenagers who take a ferry out to a small Island for a good time. The island used to be a military base, but now it seems more like a tourists haven, with the islands only permanent resident, an old woman named Maggie Adler, having passed away just days before. We play as Alex, who's brother, Michael, has recently died. Along with her, there's her stoner friend, Ren, her new stepbrother, Jonas, her late brothers curmudgeon old girlfriend, Clarissa, and Clarissa's submissive bestie, Nona. The rest of the island appears to be completely deserted and rumor has it that if you tune into certain radio frequencies in the caves, inexplicable things can happen. Being the inquisitive (and slightly inebriated) young minds we are, we had to test it out. Without spoiling anything else, let's just say... it's weird. But weird in the best Twin Peaksy way possible. The game itself is relatively short. However, my specific playthrough of it is likely to be an hour or two longer than your average players, as I felt compelled to stray from the story a couple of times in order to go collectible hunting (read the episode titles if you'd like to skip those parts). After completing the game, I did another playthrough afterwards which I didn't record as a Let's Play. However, while working on this second playthough I did end up saving a few clips here and there once I began to notice that there were differences from my original run. To see more about what I mean (and see the games real ending) be sure to not miss the final part of this series. But anyways. This was fun. And if you're into cool narratives, interesting characters, and a thorough mind fornication, I'd highly recommend it. Hi, humans. 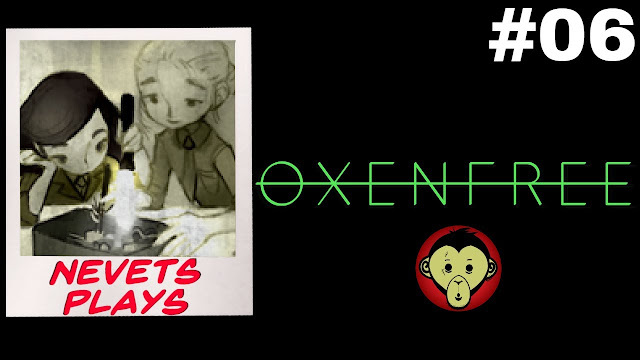 My name is Nevets and this is my first ever playthrough of the 2016 video game, Oxenfree. It's a sci-fi, point-and-clicky sorta adven... Wait. Didn't I just...? Hi, humes. 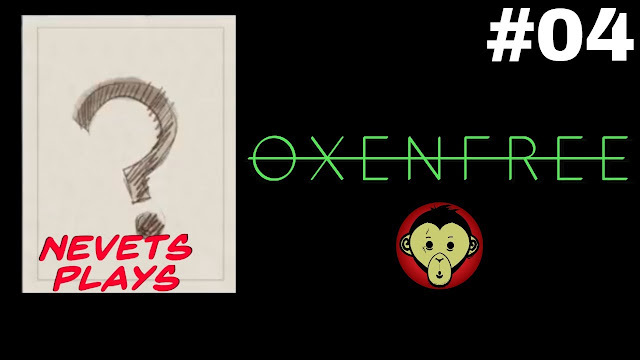 Today we begin playing Night School Studios OXENFREE. This is my first playthrough of this strange and creepy adventure game, and while it starts out a little slow, I quickly find myself hooked by the end of today’s gameplay. We play as a teenage girl named Alex who, along with her stoner friend, Ren, and new stepbrother, Jonas, take a ferry to Edwards Island for a fun-filled underage boozefest on the beach. At the island we meet our other friend Nona and a nightmare named Clarissa. We play truth or slap, turn down some magic brownies, play with a radio, and recklessly toy with the deep, dark mysteries of a deep dark cave. The repercussions are insane, confusing, and bizarre, and I’m already in love with this video game. Click here to watch on YouTube. Today on our Let’s Play of Oxenfree, we mysteriously wake up in a field after some pretty kooky and inexplicable excrement went down in a cave (and underwater?). Lost and confused, we head to a very phallic tower and fiddle with generators and finicky phones until we make contact with two out of three of our missing compadres. Both Ren and Clarissa appear to be scared and alone and it’s up to us to decide who to find first. Disregarding that age old cardinal rule of bros before hos, we choose Clarissa. On our way through Milner Outpost things become stranger and stranger as we encounter creepy radio signals, buzzing lights of evil, and automated doors. Jonas won’t get off our case and he wishes he had a girl like Carmen Sandiego (good luck finding her). We may or may not have traveled back in time, the tragedy of Pearl Harbor may or may not have just occurred, Jonas urinated in public, and Bugs Bunny has patriotically taken up arms against the Nazi’s. We talk to ourselves in a mirror, our Polaroids have been photobombed by the evil, Jonas is possessed, we take a demonic pop quiz, a Pink Floyd album cover materializes in thin air, and we finally find Clarissa. Or do we? Rewind? Wtf? Try again? Click here to watch on YouTube. 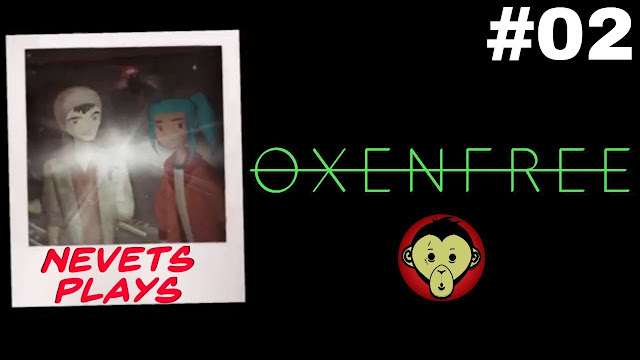 Today on our Let’s Play of Oxenfree, we find ourselves in an area as vast as space and as timeless as infinity. A place known as Oxenfree. Stranded in what appears to be a time loop, we Groundhog day our rescue of Clarissa multiple time until tragedy occurs — or does it? Oh, well. Forget it. Let’s just find Ren. We miss television, we’re an independent woman who can flip generator switches on her own, scratch that, we screwed it up and accidentally unlocked evil. Jonas hears a ghostly Jack Johnson song that reminds him of his mother, Clint Eastwood left his Obama chair outside a cabin, cable carts bring out our spirituality, time loops, time loops, time loops, we play soccer with a ghost, we talk to our reflection in some water, we find a very frightened Nona, we start tuning into rock radio (rimshot), I wish you was a wishing well so I could tie a bucket to ya and sink ya, and we finally find Ren. As you’d expect, he’s in dire need of an exorcism and we’re the only ones with a ham radio to the lords of the underworld. After that’s taken care of (if that’s what you wanna call what we did) we head back out to find Nona. Shudder to think of what awaits. Click here to watch on YouTube. 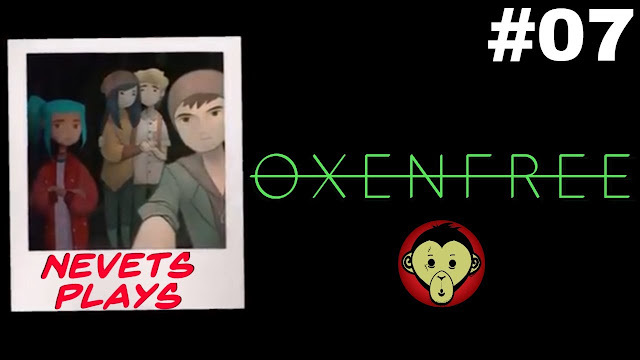 Today on our Let’s Play of Oxenfree, we take a break from story, ignore the beaten path, and do some exploration of the map as we hunt down anomalies. If you’re wanting more story, you’ve sadly caught me on an OCD day where that’s not going to happen. We grab as many little rock radio transmissions as we can, I deliver some mindless jibber jabber poorly disguised as commentary, and, keeping true to the vibe of the game, we end things by having looped back from the point where we began. Join me on our next let’s play video, however, as we continue our regularly scheduled playthrough and begin our hunt for Nona... and maybe Clarissa? Click here to watch on Youtube. 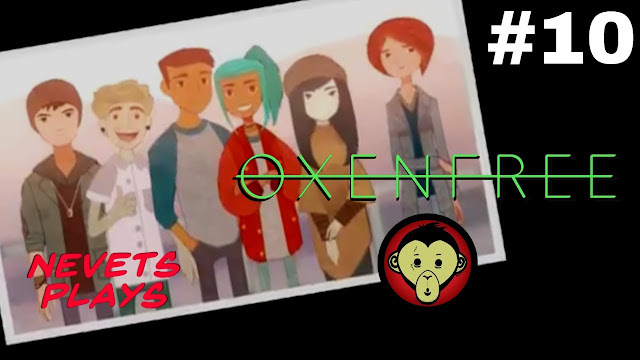 Today on our Let’s Play of Oxenfree, we get back to the story and track down Nona at the Harden tower. The recently exorcised Ren gobbles down some more magic edibles, Jonas and Ren have a harden measuring contest, and Alex and Nona ditch ‘em and go hunting for gate keys down on Main Street. We come across Clarissa on a light pole doing her best Linda Blair impression, we get a fancy new radio, and we stumble across our very first hidden letter from the notorious Maggie Adler. Then time folds in on itself and we’re suddenly talking to dead people. Don’t ask me. Click here to watch on YouTube. Hi. 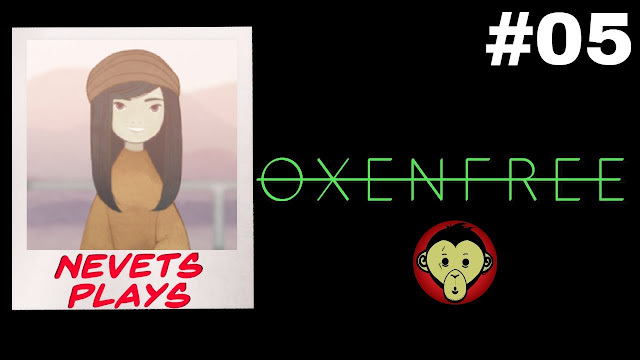 Today on our Let’s Play of Oxenfree, we wake up from whatever the heck past/ghost world thing that it was we just experienced. Now, back in the present, and with our fancy new radio in hand, our goal is to make it to the Maggie Adler Estate and steal a boat to hightail it off this infernal island. As you’d expect, it turns out not to be so simple. We meet up with Clarissa doing what she does best (being an annoy B and an even more annoy demonic vessel). We take another pop quiz and our massive failings may or may not have just doomed our friends to an eternity of being... absorbed? I dunno. I’m just as confused as I was 5 videos ago. Before finishing off todays gameplay, the gang all band together and make a plan. I believe once or twice the recording may have stopped and I had to restart it up again, in case you notice a quick, suspicious looking cut anywhere. Click here to watch on YouTube. 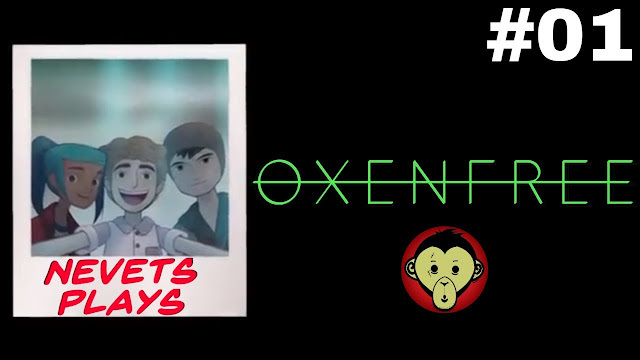 Today on our Let’s Play of Oxenfree, Jonas and Alex head out to the relay station to unlock the bomb shelter. Things become instantly eerie once we take notice of what appears to be a ghostly yard sale in Towhee Woods. 3 minutes into the playthough, you may notice a quick cut (I got up to use the boys room and sliced out the intervening time that the characters were just standing around tapping their feet). We finally start cracking Maggie Adlers hidden radio codes and finding all those interesting letters she’s stashed. 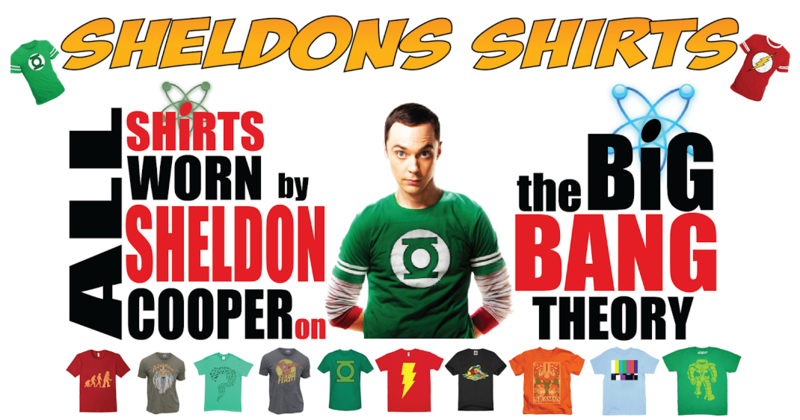 We get stuck in yet another time loop where we’re giving a tempting proposition by a bizarro world Jonas. We have premonitions of our friends dying, 14 minutes in I have to make yet another tiny cut after my recording poops out on me, then we make it to our objective and are ready to close a hole and save a day. We get another time bending encounter with the past, Ren has a lucky day, and we’re huggers. Click here to watch on YouTube. Today on Oxenfree, we go collectible hunting. Yes, again. This time our primary focus is on Maggie’s hidden letters, although we also try to keep an eye out for missing anomalies as well. Not really a whole lot else to say about this one really. So... how bout this weather, eh? Click here to watch on YouTube. 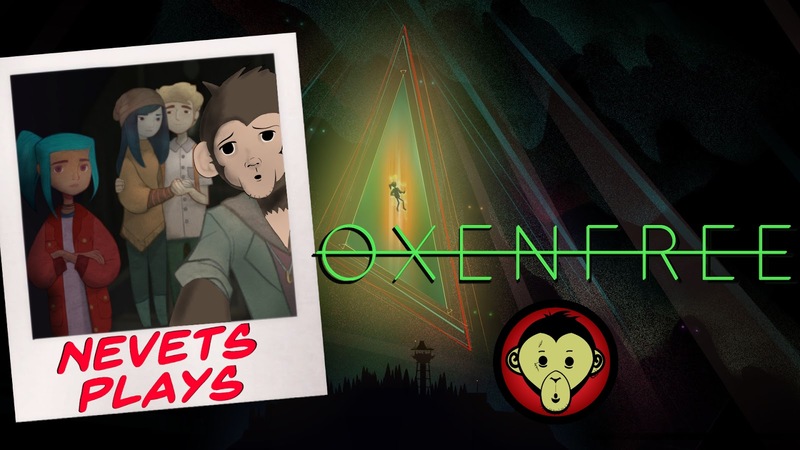 Nevets Plays Oxenfree - Part 09 | The End? 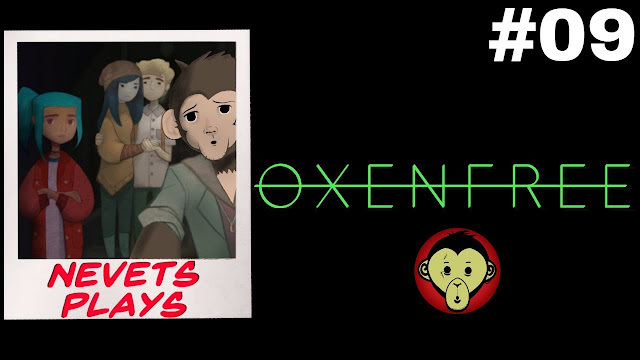 Today on Oxenfree, we finally make our way to the bomb shelter/bunker. Things get weird quick, bizarre and supernatural events come into play, I don't know what's going on, and what seems to be over may just be the beginning. I need scissors 61. To be continued. Le'ts play. lET'5 PlAy. L3T'5 l0oP. PLAY Po55iBl3. Click here to watch on YouTube. 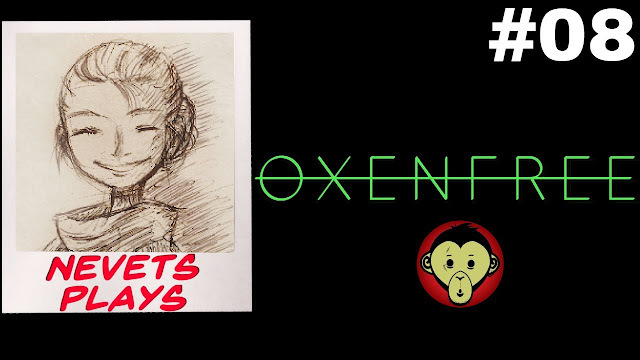 Nevets Plays Oxenfree – Part 10 | Leave Possible? The “real ending” of the game (along with my commentary) begins at 23:43. All footage before that is non-commentary gameplay highlights that I cobbled together from my second playthrough (my continued time loop) of Oxenfree. During this second run (my “mean” run), I immediately began to notice that there were some odd things occurring that didn’t occur during my original playthrough. The oddest of which being an unexpected and refreshing conclusion to my story as a whole. Leave is possible. Click here to watch on YouTube.